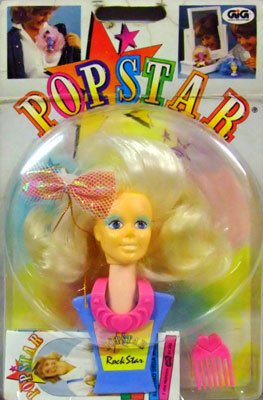 Pop Style/Pop Star were produced by Pipo for France, and by Gig for Italy in 1987/88. 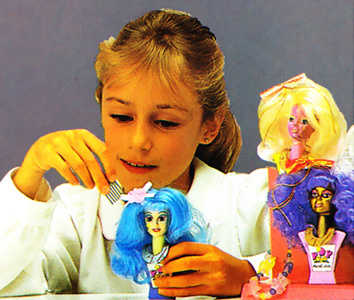 They were a small line of colourful styling heads atop clips which could be worn. 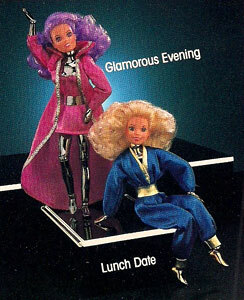 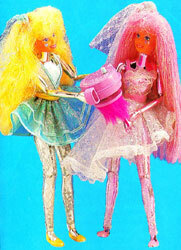 They were made using Hasbro's "Jem" head moulds which had just ceased trading. 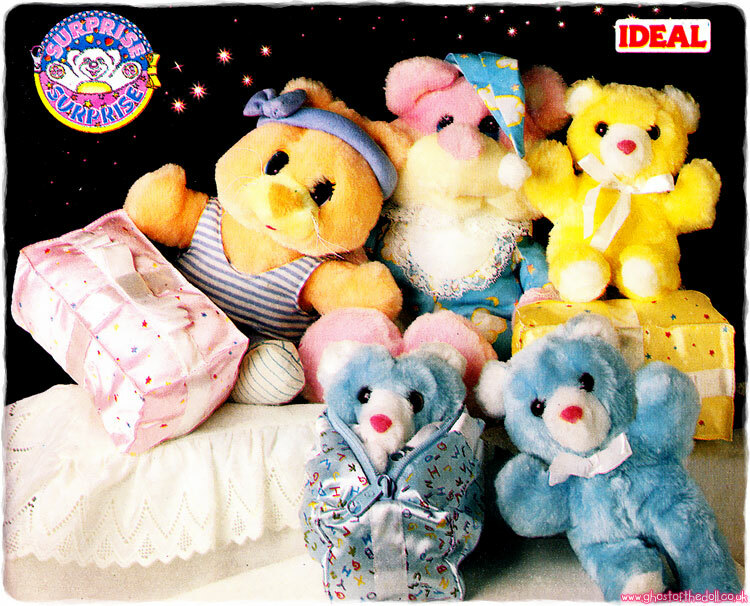 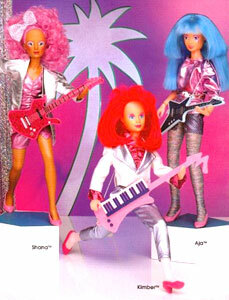 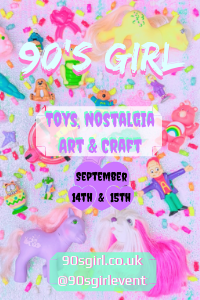 Images on this page thanks to Nhtpirate, Tons of Toys and Rock Jem! 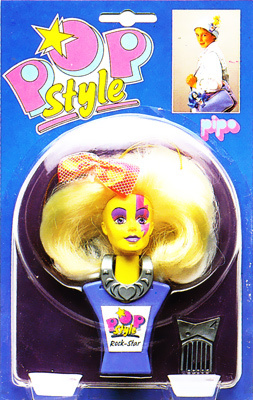 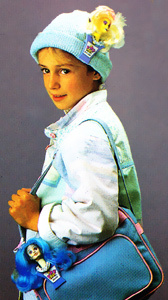 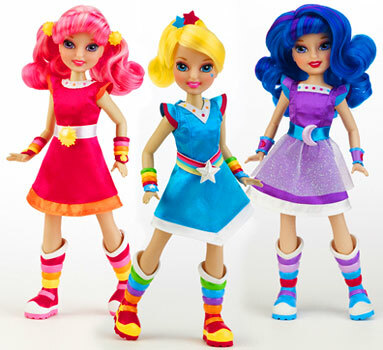 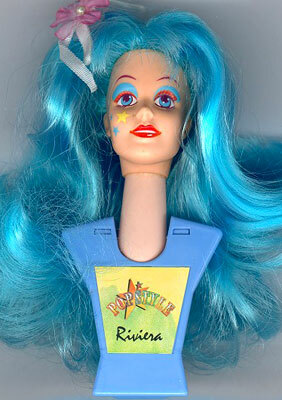 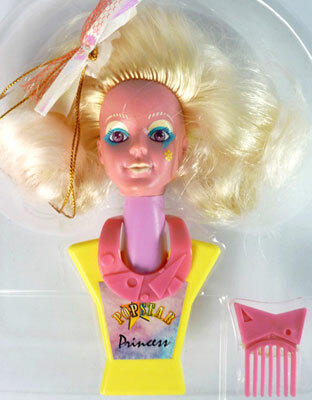 There were six Pop Style heads produced using the heads from Jem doll. 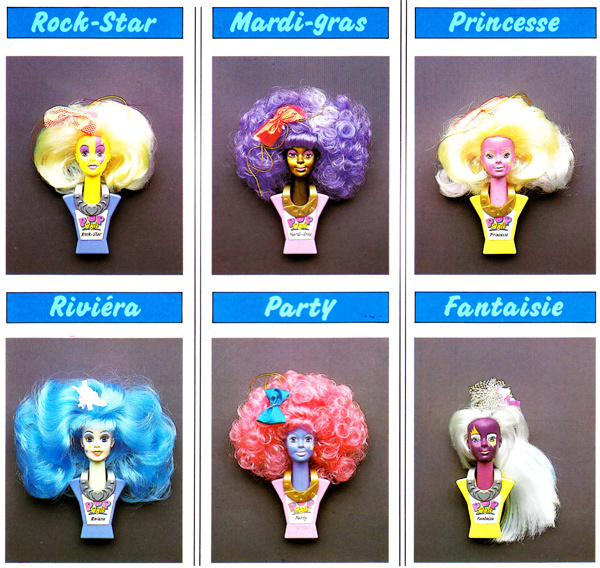 The names of the heads were the same by both Pipo and Gig (Rock-Star, Mardi-Gras, Princess, Riviera, Party and Fantasie). 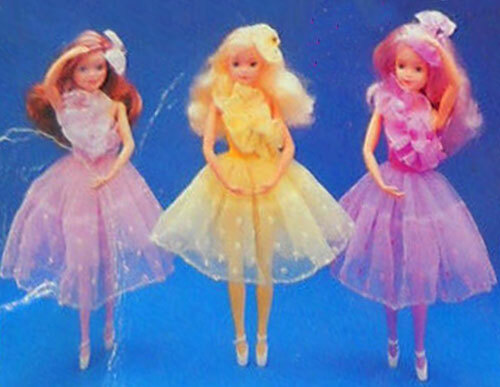 They are all pretty hard to find and I've only found images of three "real" ones so far. 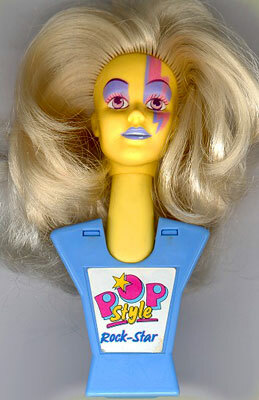 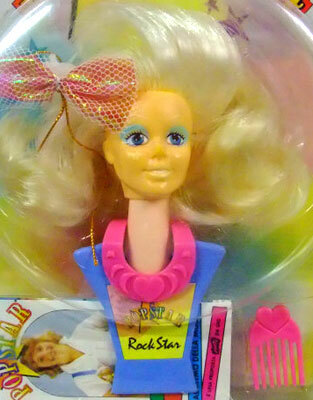 The Pipo "Rock Star" head's makeup was different from the Gig version.